The KORAL line is distinguished by its wide range of models suitable for any situation. Through the electronic card, the control system provides great customisation options based on your needs, allowing you to accurately adjust any parameter and ensure optimum washing results. The innovative UNIKO tempered glass touch screen display makes any operation simple and intuitive, from the choice of most suitable wash cycle to its progress control, as well as constantly monitoring the dishwasher state with ease. 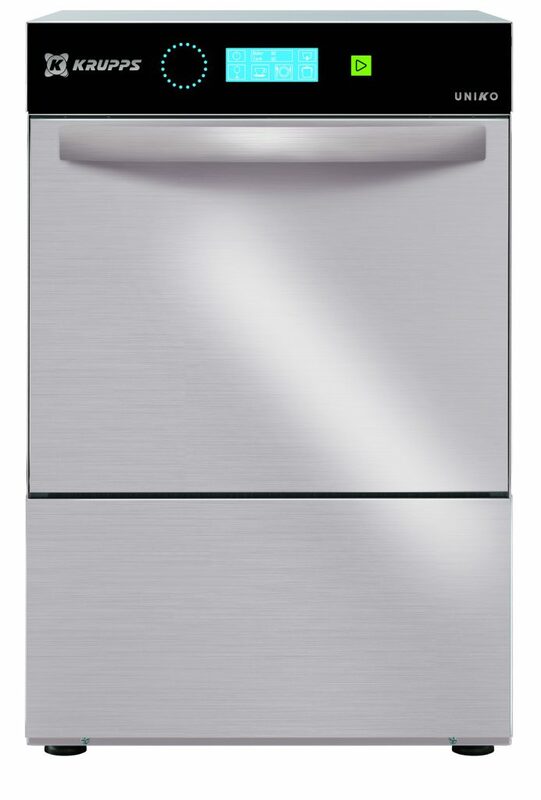 The large variety of wash cycles makes the dishwasher customisable according to your needs. Constant self-diagnosis allows you to minimise machine downtime, promptly warning the technician through the Wi-Fi IKLOUD control system that gives the possibility of remotely changing the dishwasher parameters and resolving the situation in real-time. The K209E model, available with round basket or with square basket, is suitable for washing cups, glasses, saucers and dishes (using the appropriate basket) with a clearance of up to 295 mm. The drain pump option allows you to handle the drain automatically and perform a partial replacement of clean water at each wash cycle. The electronic control allows you to manage various parameters to give you an absolute customisation level and the continuous self-diagnosis allows you to minimise machine downtime, suggesting some operations that need to be verified. The self-cleaning cycle at the end of the day cleans the wash tank and empties the hot water from the boiler, preventing limestone from building up inside. The standard double peristaltic electric rinse-aid and detergent dispenser ensures the best result from each wash cycle with great savings thanks to the precise dosage managed by the electronic card; whereas, the moulded washing and rinsing arms ensure great reliability and durability. The Thermo-stop function checks that washing and rinsing begin only when the desired temperature is reached. The bodywork is made entirely of AISI 304 steel and has been designed with all of the components in the front for easy technical assistance. Sturdy and reliable dishwashers to best deal with every moment of your day.